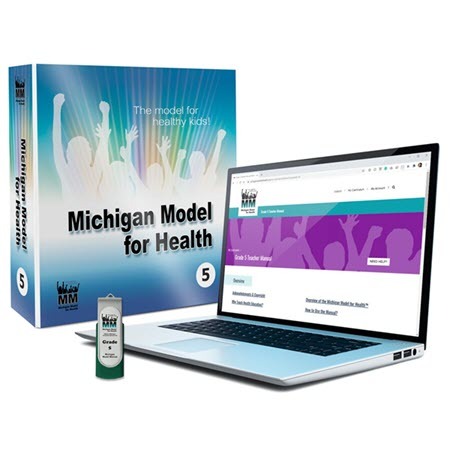 The Michigan Model for Health Grade 5 curriculum includes 14 lessons in Social and Emotional Health, 4 Nutrition and Physical Activity lessons, 4 Safety lessons, 6 Alcohol, Tobacco, and Other Drug (ATOD) lessons and 2 Personal Health and Wellness lessons. Teacher Resource flash drive included. The HIV lessons (see MA500) and support materials are sold separately.